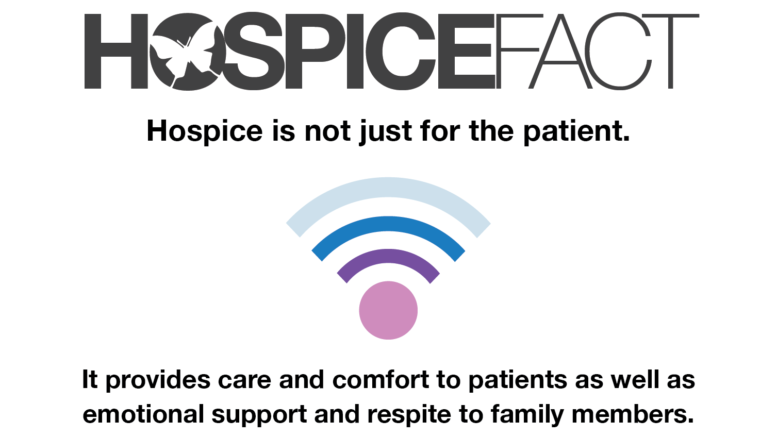 Hospice provides care to patients as well as emotional support and respite to family members. - The Hospice Insider is the Place To Land for Hospice News, Information, Resources and HospiceFact. Celebrate all stages of Life. At some point or another we all may be touched by hospice’s end-of-life care. Because it offers the best option in the last months of life with its variety of benefits, hospice should be used not only by the patient, but by family members as well. By having conversations early, and as a family, hospice can benefit everyone involved.Although end-of-life care may be difficult to discuss, it is best to have family members share wishes before it becomes a concern. Utilizing hospice will help patients make an educated decision that includes the advice and input from family members and loved ones. Thus resulting in a more calm, peaceful, compassionate care that helps patients and families live as fully as possible. Hospice will guide patients and family members to discuss end-of-life choices such as how one is cared for and where they choose to be, so that the patient’s personal wishes will be carried out. Your family can come to a consensus that benefits everyone and honors the wishes of the patient in their last months or weeks in comfort, dignity and peace. A Hospice team will provide several services to ease the foreseeable decline and death of a loved one. While emotions are high, caregivers will ease the experience by educating family about the best way to care for their loved one providing confidence and relief. They will also help with bathing, grooming and light housekeeping should you choose to be in your home. They also train volunteers who can provide companionship and support to your loved one. During this time, family can often have feelings of abandonment, anger and sadness that accompany the decline and loss of their loved one. The hospice team, therefore, will offer emotional support for the family in order to help the family deal with the pending decline and death of the patient. They will also offer spiritual guidance for all belief systems.